Already have your own art? Make it interactive! | Photo Art You Can Watch! | Soundwave Art™ - Turn your voice or sound into art! Already have your own art? Make it interactive! This is strictly for turning a piece of art that you already have at home into an interactive piece of art. We are not creating a product, this is just to make a piece you already own into an interactive piece. 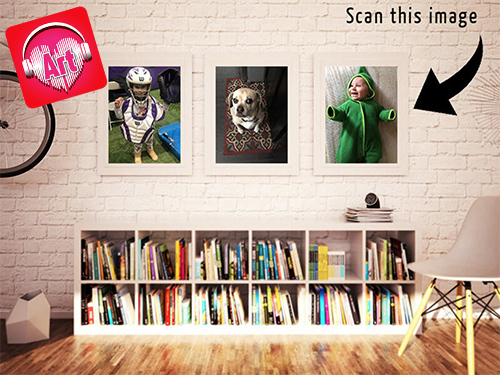 Upload a digital version of your art or take a picture of the piece of art you want to use making sure the photo is taken straight on and so all four corners are visible. Upload an audio file or video file that you want to play when you can your art. We use augmented reality to overlay your video on top of your artwork, merging the digital and physical world. See how it works below.